Dr. Ledford is the Public Health Division Director in Wake County, North Carolina the state capital county of NC. Wake County Human Services– Public Health is a state accredited agency that serves over one million residents. 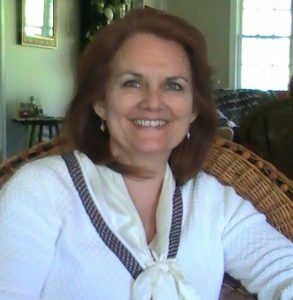 Sue Lynn holds degrees from UNC Chapel Hill – DrPH Health Policy and Management, Western Carolina University’s Master of Public Administration, and Bachelor of Science in Nursing. Her career has spanned multiple health systems: hospital, home care, school health, and the full gamut of public health services. She is a Public Health Leaders Fellow with work experience across the spectrum of public, private, and governmental entities from the federal, state, and local levels. Dr. Ledford’s background in quality improvement and systems integration has focused on linking public and private health providers throughout her multifaceted career as a PH professional. With expertise in addressing PH preparedness efforts, communicable disease issues, population health determinants, and environmental factors within a data-driven community health system she strives to create efficiencies in service provision, shared outcome models, and more efficient financial models to maximize community benefit for population health and healthcare systems. Dr. Ledford is a respected health leader that provides a passion for innovative service delivery. County Information: Wake County consists of twelve municipalities and is emerging as the most populous county in North Carolina with over 1 million residents. Including Raleigh, the county seat and the state capital, the area is comprised of a unique mix of multi-ethnic cultures of urban, rural and small towns. A distinguishing characteristic of the Wake County Public Health System is the integration of Public Health into the consolidated Wake County Human Services Department.